Taking the popular compact build and light weight of the original Stealth 240, the BCA Stealth 240 Carbon Avalanche Probe gets even lighter thanks to a full carbon construction. Weighing in at just 215 grams (or 7.6 oz) the Stealth 240 Carbon Probe is the answer to your minimalist prayers! 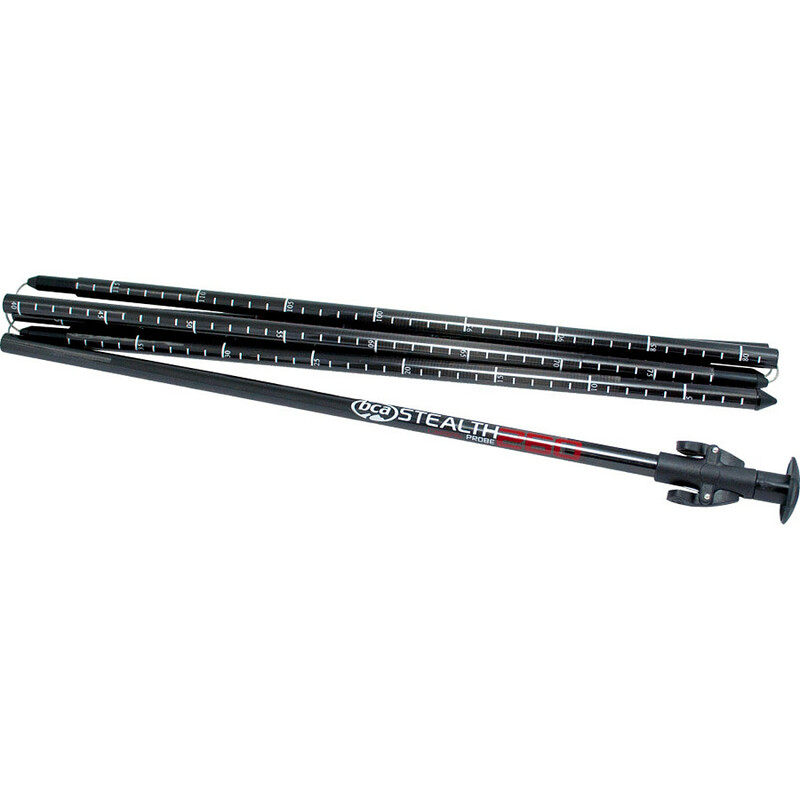 The Backcountry Access Stealth 240 Carbon probe is compact, lightweight, and economical and keeps weight to a minimum yet still allows you to locate your partner in shallow debris after an avalanche. 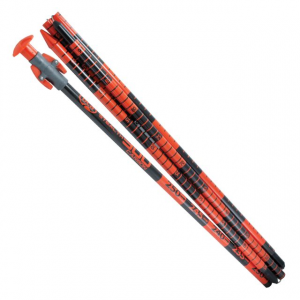 Backcountry Access Avalanche Probes Stealth 240 Carbon Avalanche Probe C1605002010. 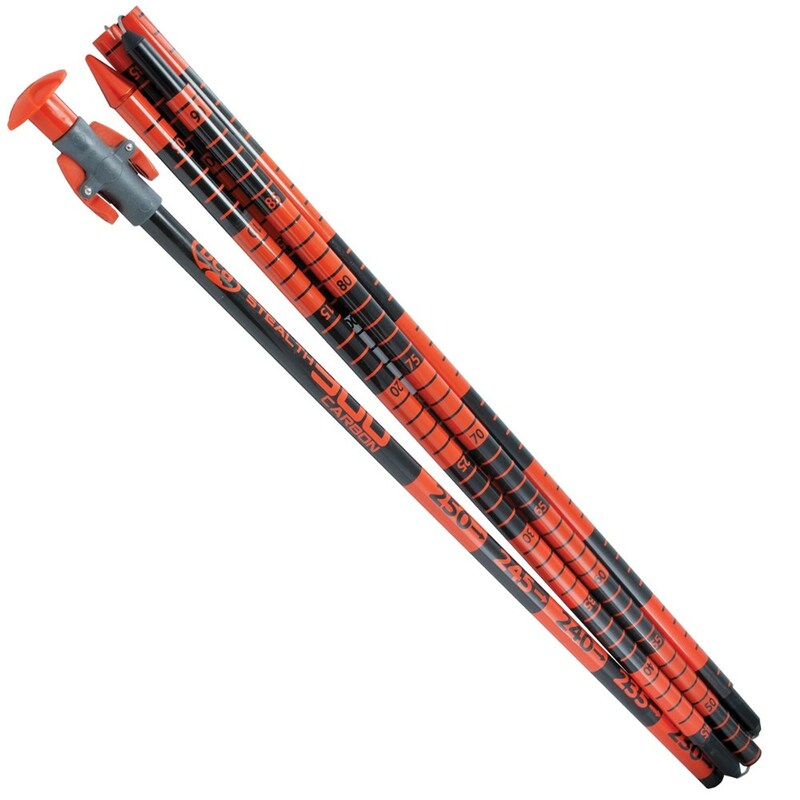 The top segment stealthfully nests inside the next probe section reducing the number of segments and size of the probe bundle when disassembled in your pack. Equipped with laser etched depth markings for measuring snowpack and/or victim depth to determine the dimensions of the excavation area before shoveling. 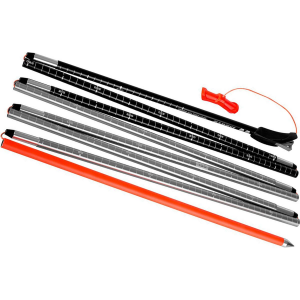 Stealth probes are built to last and save valuable seconds during an avalanche rescue when time matters. 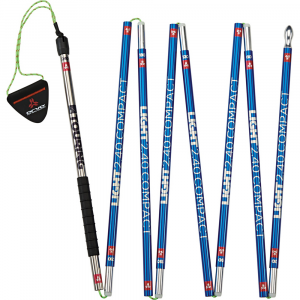 Long enough for professionals and deep snowpack, with the benefit of being lightweight, the Backcountry Access Stealth Carbon avalanche probe is an absolute essential for backcountry travel.